Keep your digestive system in sync, so you can continue doing the things you love to do. Align is a daily dietary supplement that fortifies your digestive system with healthy bacteria 24/7 with continued daily use. 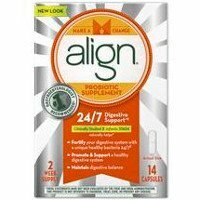 Only Align contains Bifantis, a unique, patented probiotic strain. Align can help fortify your digestive system and help maintain its natural balance.